Have you ever wondered what happens inside your brain whenever you experience a headache? As the brain tissue cannot feel the pain itself, so the brain processes sensations of pain that it receives from rest of the body. The pain signals may come from different parts such as nerves, blood vessels or membranes surrounding the brain or from muscles of the neck and head, depending upon the type of headache you’ve. You may not know this but some headaches are associated with electrical changes in brain activity. This is the most common type of headaches. 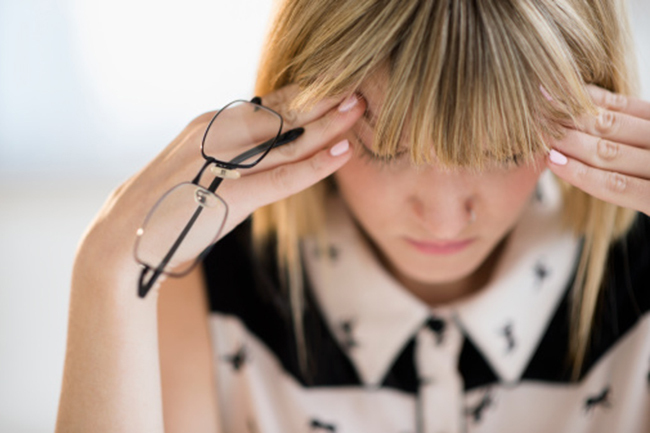 During tension headache, you’ll feel dull, pressure like pain on both sides of the head. At times, the pain could extend to the back of the head. Muscles of the head and neck may become a little tender. Although, the cause of tension-type headache is not yet known but some experts suggest that pain may occur as a result of excess muscle tension. Pain-sensitive nerves within tense muscles carry these signals to the spinal cord as well to high brain areas that are associated with touch, emotions and movement. 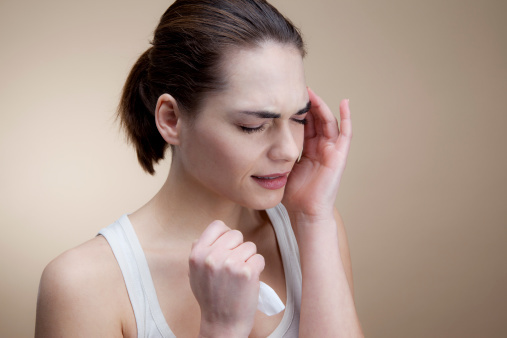 Migraines usually cause excruciating pain on either side of the head along with other symptoms such as light and sound sensitivity, nausea and vomiting. Some people experience an aura before the headache, with symptoms like seeing flashing lights. A wave of electrical activity travels across the brain during the auro. The trigeminal and cervical nerves carry signals of pain from the face, head and neck and from the blood vessels and membranes around the brain whenever you experience migraine pain. Now these pain signals from all these nerves are amplified as they enter the brain-stem, making them hypersensitive. This results in a vicious cycle of worsening pain. When a tumour or bleeding blocks the flow of cerebrosponal fluid, which surrounds and cushions the brain, it leads to increased pressure inside the head. This may result in headaches. Apart from this, brain swelling due to head trauma, stroke or infection, can also lead to the increased pressure. In all the aforementioned cases, stretching of blood vessels inside the head result in pain. Headaches from increased intracranial pressure may be worse in the morning and associated with vomiting and blurry or double vision.